Using VLANs and VPN with DD-WRT | IT Xpress Fixed It! I upgraded my old Asus WL-520GU (Broadcom based) router to a new TP-Link TL-WDR3600 (Atheros based) at my business and it was a bit of an effort to get the same functionality I had. The Broadcom chips were almost universal in SOHO routers, so their support is widespread and DD-WRT’s web interface supports them widely. However, chips from Atheros have gained a LOT of traction of late and due to differences in how they operate, the DD-WRT web interface doesn’t always support everything. So you have to do some command line tweaking to get exactly what you want. The TP-Link routers are wonderful because they have a ton of memory (128MB) and large flash chips (8MB) for loading firmware with more advanced features. I needed tagged and port based VLAN support in addition to enabling OpenVPN. For the longest time, Atheros based routers only supported tagged VLANs. But now their newer chipsets support both. So I wanted to see if I could upgrade my router without changing anythign else in my network configuration. This was all done on v23082 dd-wrt. While the main website suggest much older firmware for most routers, the most recent bug fixes and features are added to the ‘BrainSlayer Builds’, which are released intermittently by the lead developer of DD-WRT. I have 5 networks at my business run through a 24 port smart switch and other smaller switches farther out. I use a combination of port based and tagged VLANs. I could have gone to all tagged, but one high power AP was wired to the router and I didn’t feel like running it to the switch so… I made my life difficult for fun. 5.1 is the main network. It’s not tagged and is the default LAN on the smart switch (I use port configurations in the smart switch to block the traffic from going elsewhere) Not ideal and I should do it ‘right’ but for now… That’s how it worked. 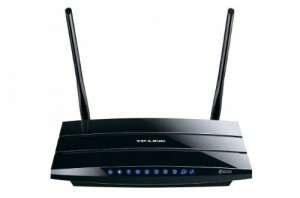 The router’s wireless radios tie directly to Private LAN and are WPA2/AES encrypted. If I had wanted them on a different vlan, I’d have had to use a bridge to remove them from ‘vlan1’ and put them onto another vlan. 7.1 (vlan3) is the LAN for my repair benches so there’s all sorts of nasty traffic on it. All wired. 8.1 (vlan4) is my VoIP network. No real NEED for this to be segmented, but it’s an artifact from when I ran asterisk and why make life simple? 10.1 (vlan6) is a partner network for a few people subletting a small section of our building. So all the VLANs are isolated and share our single Internet link. # Assign smart switch trunk to other VLANs for tagging. # Assign Public WiFI AP port to it’s VLAN. No tagging. Yes my vlan numbering is bizarre. Part artifact from Broadcom (For them the WAN port was vlan5. With Atheros it’s vlan2) and I should have just made the vlan number match the LAN block number for simplicity, but I’m OCD in a weird way and was too lazy to update everything in the smart switch. So I left the VLAN IDs the same and changed just that one. Now go to Setup -> Networking… For each new VLAN section that now appears, (3, 4, 6, and 7 in my case), Select ‘Unbridged’, enable NAT, and configure the LAN IP (192.168.x.1) and netmask (255.255.255.0). Don’t unbridge vlan1, eth0, or the athx networks (unless you need to like pulling the WiFi into a different LAN). Save. If you need DHCP on the VLANs like I do, add them at the bottom. Select the vlan ID for each one that needs DHCP, set a start IP, the # of clients allowed, and a lease time. Apply and reboot. That’s it! Your networks should be working with tagged and untagged traffic pouring out of the trunk port. Static Leases apply across all the DHCP instances, so the normal web mgmt stuff works there. Setting up OpenVPN overall is beyond the scope of this post – the above resources will give you the general idea. The key is properly creating your CA, server, and client certificates and copying them to your router config. Note that due to GMT time differences, your certs/keys may not work for up to a day. Easy fix? After you install OpenVPN on your computer, set the clock back one day and create your keys = no GMT issues. Then set it back once the certificates and keys are all created. Under Services -> VPN, enable the OpenVPN server. The startup type probably is not critical – but I start the VPN stuff when the system boots vs when the WAN port comes online. Not sure it matters though. I left it as a daemon vs server. You copy in the appropriate Certificate/Key segments (not the other junk on top – only the BEGIN/END lines and the block of characters in between) into the four text fields. See the howtogeek article for exactly which key file goes into which form field. # Unsure but this seemed to speed things up a bit. You have to configure your client for this too. I use a bridged setup – which means the VPN ‘bridges’ to your existing LAN. It’s like your computer is there. Same network with an IP address as if you were there (though from a different slice of the DHCP pool). Another option is routed where you are linking two networks and route between them. Again out of this article’s scope. But bridging is the simple way and works for most cases. If you don’t have a static IP address, go to freedns.afraid.org and get a free Dynamic DNS account. This will give you a hostname that always points to your router and use that instead of the direct IP address. No need to pay $20/mon for a static IP. I’m pretty sure when I’m connected to my VPN, *all* my network traffic is going through the VPN, not just traffic meant for my business LAN. This is the nature of ‘bridged’ networking. I’d rather have only my business network traffic go over the VPN. I’m still not sure if adaptive is the best option for LZO compression and if it’s even working. I really should update my smart switch and config so vlan6 = 192.168.6.x and so on. UPDATE! I learned a little bit of a lesson. Being OCD, I like to have DHCP reservations for all my machines with nice recognizable names in the DD-WRT status screens. So I create lease records for everything. Well now that I have OpenVPN working great, I wanted to create hostnames for them as well. So not thinking this through (OpenVPN doesn’t USE DNSMasq for DHCP), I created two leases for the OpenVPN client MAC addresses and IP addresses. As soon as I saved them, the router CPU pegged at 100%. Thankfully it was a ‘nice’ process, so the router continued to pass traffic just fine, but the web GUI slowed to a crawl. Eventually I was able to get the Services tab to load and remove the two entries. Once I did that and clicked Apply? CPU load returned to it’s normal 0.01 self. So word to the wise – don’t do this! Now when you initiate a connect, the server will require this key be presented before anything else. Otherwise it won’t respond. An excellent safety measure. UPDATE #3: If you have an OpenVPN setup, it IS affected by the Heartbleed OpenSSL vulnerability. So you’ll need to respin your certificates (I’d suggest just starting from creating a new CA and work your way down through the client certificates). However, if you had TLS Auth/HMAC enabled as outlined above in Update #2, you’re fine since this would have prevented anyone from pinging your server trying to get crypto info through the vulnerability. Just ensure OpenVPN and OpenSSL get updated to the latest releases. if you haven’t enabled TLS Auth – you really should. It was designed to prevent hackers from exploiting vulnerabilities like this. UPDATE #4: My initial firewall rules relied on vlan1 being the primary LAN but, at least on this hardware, it turns out you have to use br0 in iptables for that. So I’ve updated the rules to account for that. See this post for additional information on vlan interface naming. 10 Responses for "Using VLANs and VPN with DD-WRT"
may you please write something about ROUTED OpenVPN vpns? It sounds like you have a tunnel (TUN) VPN setup vs a TAP. TAP does everything you describe – you’re basically a client TAPped into the remote LAN via VPN. Ping, NetBIOS, SMB, etc all work as they should. I mount windows shares all the time with this configuration. I don’t have nearly as much experience with tunnel VPN, but my understanding is the behavior you describe is normal for a tunnel VPN. Broadcast traffic, etc will not be possible. I have the very same router and tried DD-WRT on it but from what I read on other places port based vlans are not possible on Atheros based chipsets yet you have do it. I am trying to do a simple thing, I do not know whether you can help me or not. I want to make one of the lan ports on the router act as a switch (and the device on it to get a real IP) and the rest of the ports to be in the usual NAT 192.168.x.x IP range. I tried that – http://www.dd-wrt.com/wiki/index.php/Switched_Ports#Second_WAN_port but it didn’t work. It depends on the router and chipset (I’m not sure if it’s the Atheros chip or the switch chip – think it’s the switch chip), but some do support port based VLANs. The WDR3600 definitely does. I’m not entirely sure what you’re trying to setup – it almost sounds like you want a DMZ port for IPTV? Or are you trying to create a second WAN port with it’s own public IP address? If the latter, that’s going to be tricky, but should be possible. You say you have the same router, so we’ll go from there. This basically will create a ‘WAN Switch’ with the WAN port and LAN Port #1. I think most of the iptables stuff is vlan based vs port based, so don’t THINK you’ll need to tweak the firewall, but I could be wrong. Obviously you’ll have to have an ISP account that allows you to have more than one public IP off your link. This worked perfectly! Thank you, I knew it was something very easy but I do not know much about networking and just replicated the commands from the DD-WRT site which was my mistake. So glad it worked! And yah on paper it look easy but you sure have to dig to find the ‘right stuff’ to manipulate things internally in the router. Very cool it’s possible though. Wow – thanks so much – just what I needed to set up VLANs on my home network. I’m using DD-WRT and having some issues (VLAN) with the command, not too sure if you are able to help..